The outro scene is the last slide of your video and serves as an ending sequence. 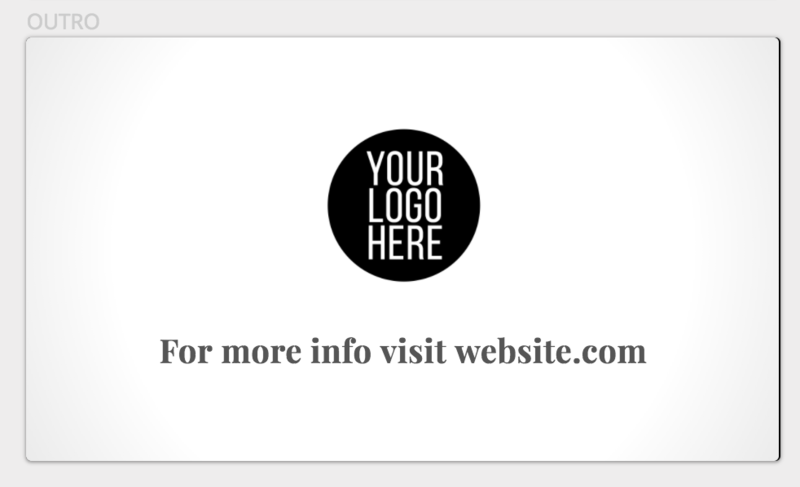 This is where you can upload your logo and include a call-to-action. Scroll down to the very bottom of your slides to find the Outro section. Select "Logo + message" from the dropdown, then click on the text to edit your call-to-action. 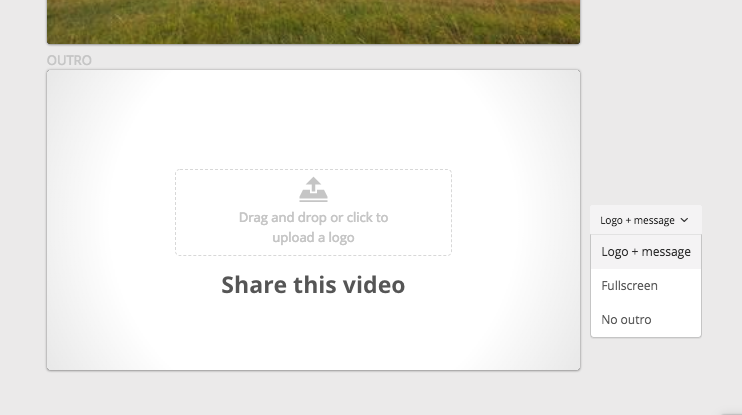 You can also upload your logo or upload a custom fullscreen outro. Please note that video as a format does not support clickable links.